I recently reviewed the Eddingtons Mincer Pro, you can see my thoughts on it here. It’s a good appliance that makes light work of grinding meat. I’ve been having a lot of fun perfecting a sausage recipe with it, as it comes with an excellent sausage attachment. Have a go at creating some too, or just stick to making your own mince – at least you’ll know what’s in it! 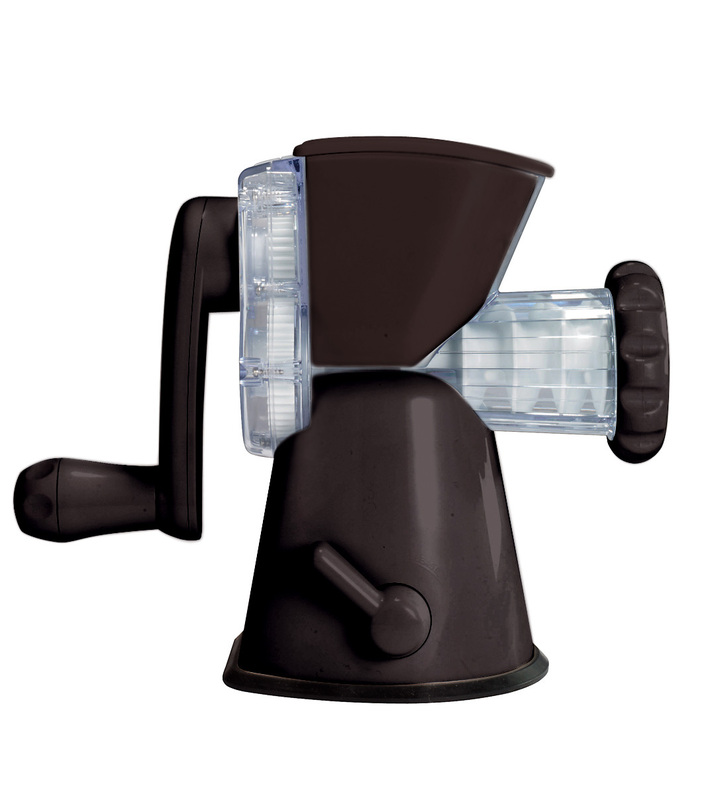 To help you on your way Eddingtons have kindly offered a Mincer Pro to one lucky reader. 1. Complete the Rafflecopter form below. 2. You need to write the answer to the (mandatory) random question on the form as a comment on my blog, then click to confirm you have answered. 3. You gain extra bonus entries by ‘liking’ the Facebook page and ‘following’ on Twitter etc. 4. Closing date: Sunday 28th April 2013. 5. You must be over 18 and live in the UK. Not used Rafflecopter before? Here is a video clip follow on how to enter. Many thanks to Eddingtons for providing the prize. The winner will be chosen by Rafflecopter using random.org and announced on this page. If the prize is not claimed within 7 days a replacement winner will be chosen. This giveaway is run on behalf of Eddingtons, who will be responsible for delivering the prize. Please note: Food I Fancy runs a very legitimate giveaway. All entries are checked for accuracy and will be validated. Clicking on “enter” ensures that your task has been completed. If your task has not been completed, your entry will not be counted and will be considered invalid. If you are chosen as the winner of this contest and you have not completed the task(s) that you claim to complete, a new winner will be randomly chosen. So please be sure that you have completed a task before clicking “enter”. Thank you for your co-operation. I love to make my own beef sausages with whole grain mustard! My favourite is plain good quality pork sausage. I like a Lincolnshire sausage, I am not keen on anything sweet added to a sausage, I do enjoy a lamb and mint one too, oh and a turkey and chilli one! I love the spicy ones from Tesco’s finest. I think they have chilli and Jalepenos in. I would love to have a go at making my own with lots of tasty flavours. Pork and Caramelised Onions Sausages are my favourite. Love a bit of black pudding in mine. Pork and Black Pudding ! Proper pork and bramley apple bangers. Fingers crossed we get the weather for a BBQ! Pork and sage, mmm I could eat some now! I like a good classic plain pork sausage from a butcher that makes their own. Then I can get my other flavours from the accompaniments. Piri Piri Pork Sausage are really nice they have that extra kick in them!! I like pork and apple flavour. Lamb and harissa any time of the day . Freshly made Cumberland style sausages. I love Pork and Apple. Really tasty!! Pork, Sundried Tomato and Basil 🙂 Yummy…. This looks great! I’d try something Man V Food esque like a cheeseburger sausage – beef and cheese! Just plain pork with a few herbs, keep it simple! Cumberland is our favourite, we don’t have them very often but always look forward to them as a treat, especially when we are away at a B&B having a Traditional fried breakfast! Just pork – without the sawdust and ground up bones that some stores sell! Pork with bits of Blackpudding. Another pork and apple fan here! also like pork and tomato. Pork – but they have to have onion gravy with them! As half of my family are Spanish, I am quite partial to a spicy sausage. A grilled, uncured chorizo sausage is great to pep up the eggs and bacon in the morning! Had some lovely organic beef sausages from a farm once. Like a plain pork sausage.